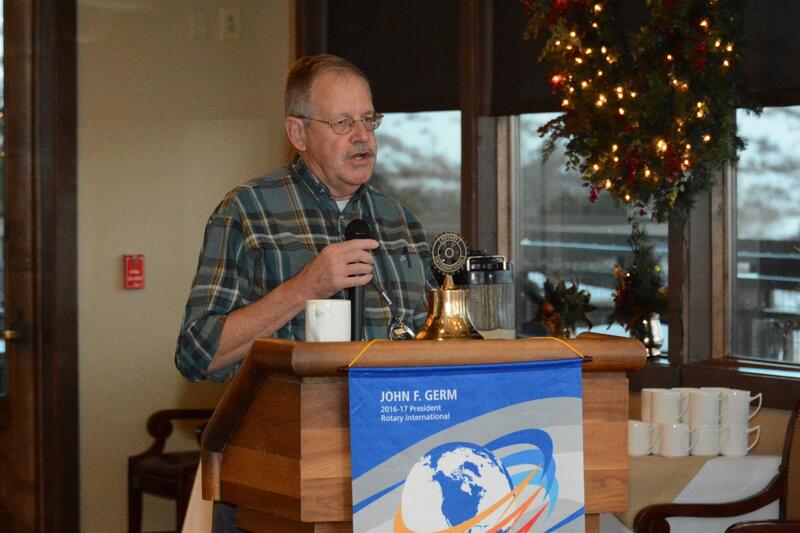 President Kevin Nichols welcomed all to the January 24, 2017, meeting of the Rotary Club of Golden at 7:15 am with an invocation and the Pledge of Allegiance. The 4-Way Test was postponed until the induction of new members. 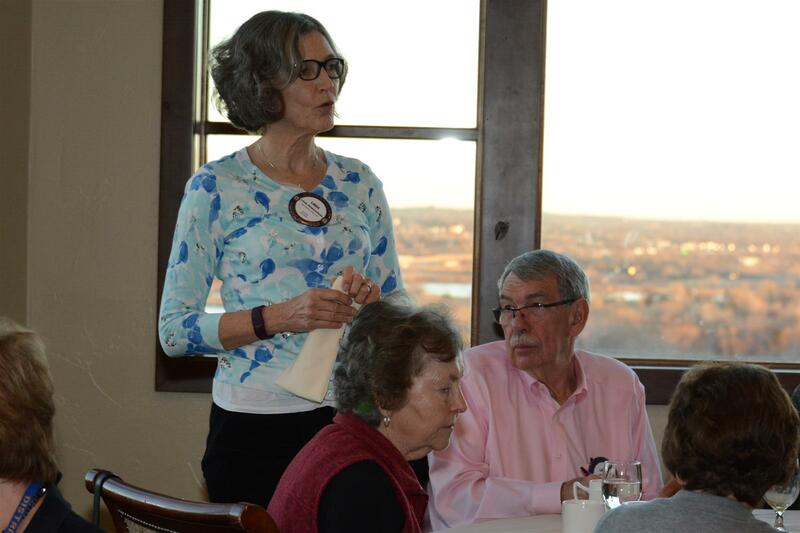 Jeri Maloney: This is her first Rotary meeting. She is looking toward making new connections, getting out of her comfort zone. She is the owner of a local business, Golden Laser Aesthetics and lives up the road. David Berger: David is a former college roommate of Greg Elliott. This is his third meeting, and he’s like an application. 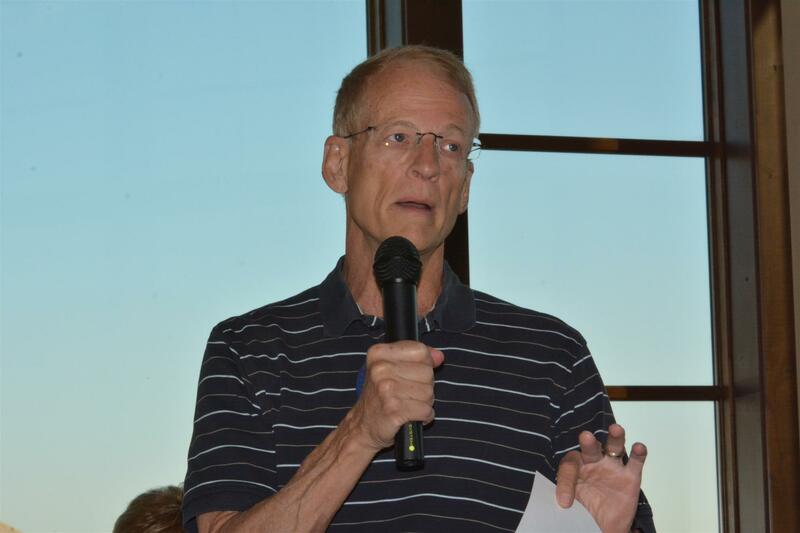 Bruce Aaron: Bruce is our Assistant Governor, Area 7. George Mamalis: Flyers for the Wine & Chocolate Pairing “fun-raiser” are on tables. Just a reminder that it’s February 9 and benefits both the Golden Rotary Foundation and The Rotary Foundation. 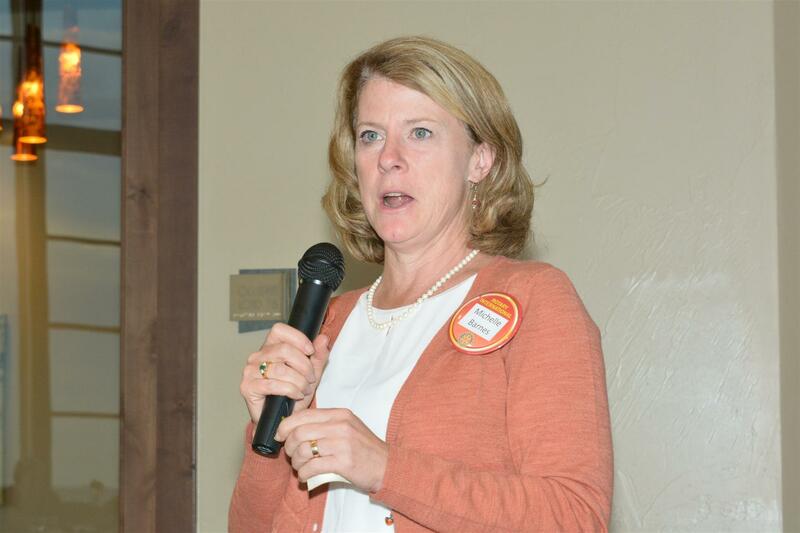 The “Rotary Has a Heart” event will be in Westwood Estates at 7245 Lupine Street, Arvada at 6 p.m. Bring your favorite chocolate and beverage to pair it with. People will “bid” for “people’s choice.” Tickets will be 6/$5. 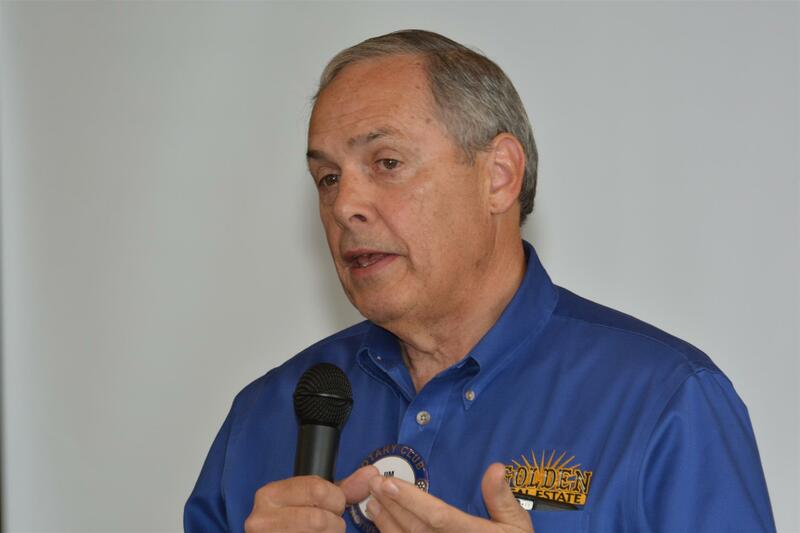 Jerry Lovejoy: There will be a mini meeting tomorrow at Pat’s office at 7:30 a.m. Today’s Vocational Service Meeting will be immediately following the club meeting at the center table. 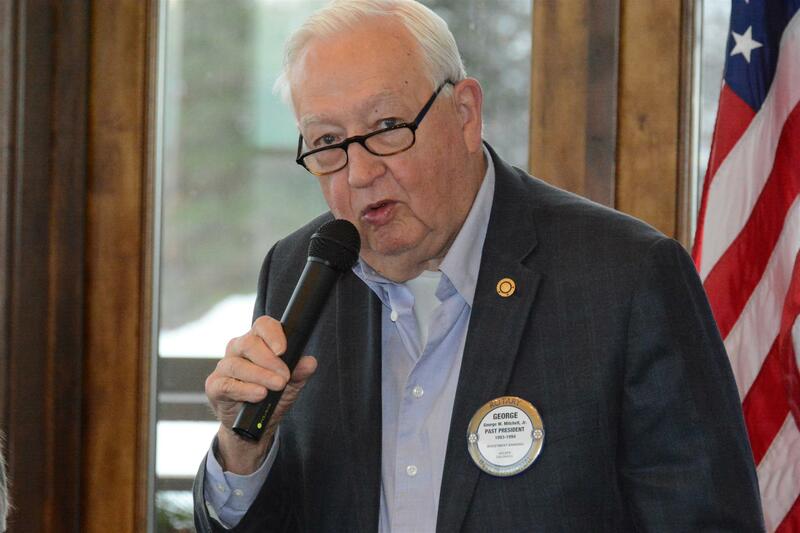 Tom Hughes: ON behalf of the Rotary Foundation, we have two members to recognize today. One, Reverend Don Bleyle achieves Paul Harris + 3 and Jerry Lovejoy officially becomes a new Paul Harris Fellow. Congratulations to each! 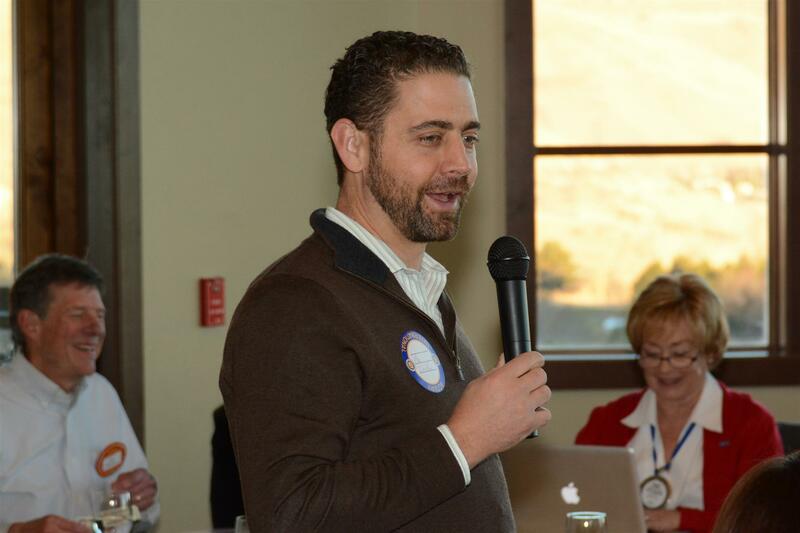 President Kevin: Rotary Leadership Institute (RLI) is Saturday, February 4 (8 a.m. – 3 p.m.) at Red Rocks Community College. It’s a three-session course spread over time. 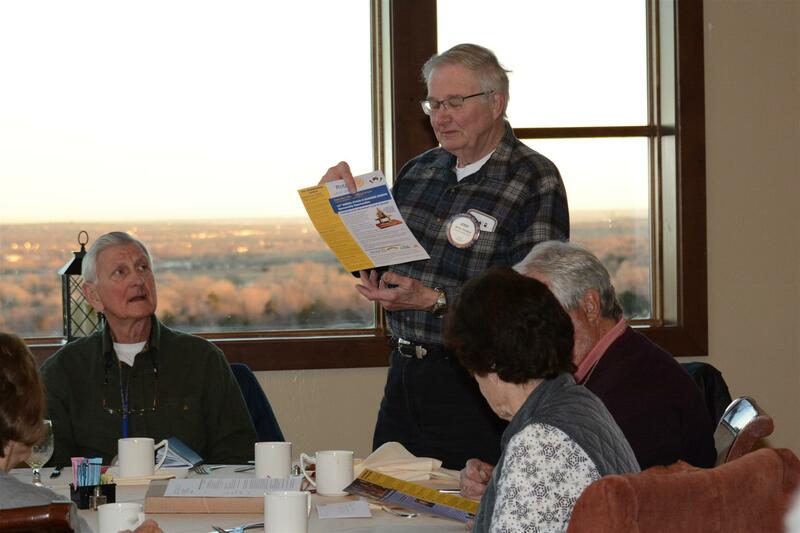 Golden Rotary encourages members to attend, and will pay your registration fee. Scott Brown: Scott had two happy bucks. The first is in honor of his mother who he and his wife just put to rest in Atlanta. The second is in honor of his wife, for being a newly minted Fulbright Fellow! Also, there are two articles about her and her students studying the molecular structure of gluten. Yup! Kim is going to help make gluten-free beer! Michelle Barnes: Michelle received a “call” last week from someone representing h himself from the Jefferson County Sheriff’s Office about not having shown up for jury duty. She was directed to come to the department. Sensing that it could be a fake phone call, Michelle called Steve Jensen about the call. Yup! It was part of an elaborate scam. So, thanks, Steve! 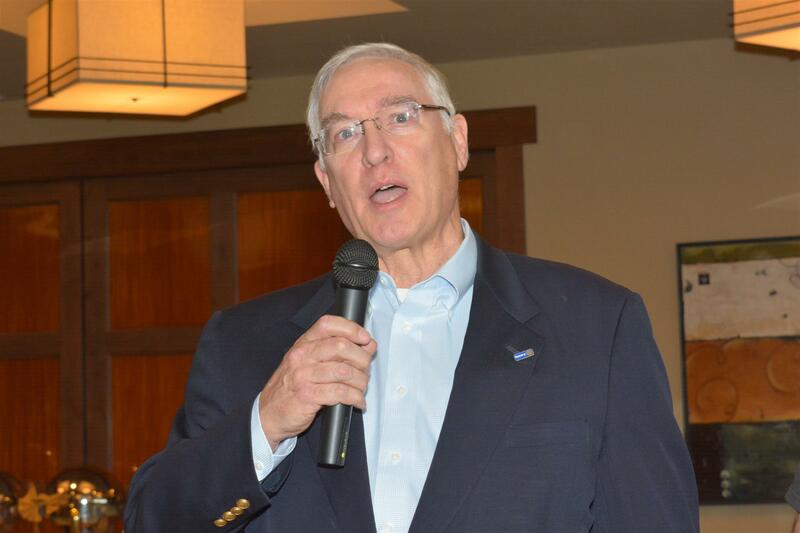 George Mitchell: Time for an update about Mines Basketball. Last week they continued their roll in Pueblo with a 22-point win over CSU Pueblo. They have a 16/3 record in the season. 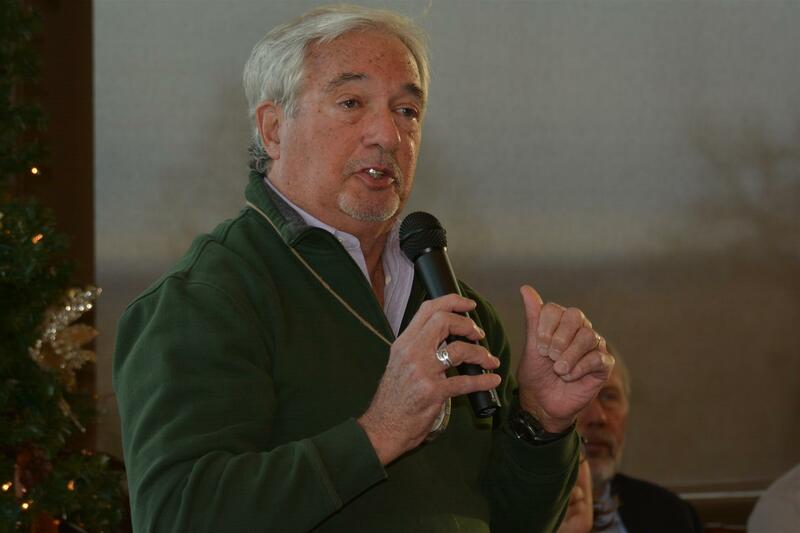 Jim Smith: Jim gave a happy buck for being recognized that this year his business is #71 (top 100) in the Metro area. Doing well. Congratulations, Jim! Well done!! Paul Haseman: Paul gave a happy buck in honor of his son/his wife who just had their seventh (yup, lucky 7!) baby. Vivian (Paul’s wife) is off to the east coast to help. Oh, his name is Luke. Just glad their last name wasn’t Skywalker! Greg Elliott: Greg has been in business with Visiting Angels for the past 8 years in this area. 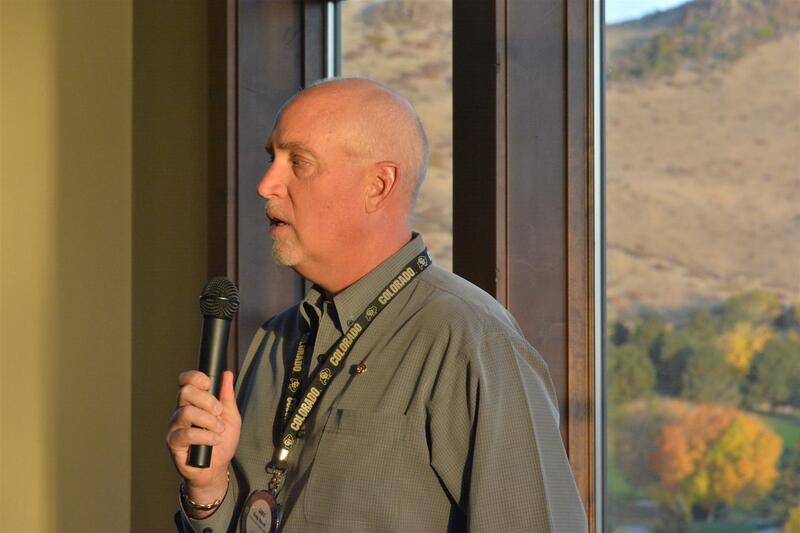 Last week he opened his next business with Visiting Angels serving all of Boulder County. Linda Dierderichsen: Spending birthday time on the slopes of Vail! Nice way to celebrate. The slopes were great. At Keystone it had snowed all day, and no one was there! Nice!! Mic DeMin: Mic gave three happy bucks: The first was for a wonderful “date” with his wife (without kids who were watched by a favorite “uncle” of the kids). The next was for a wonderful evening the following night at the University Club for “Twelfth Night” with a friend of his. It was an evening with good food, drink, and fabulous musical comedy satirical review! And his final happy buck was for having played “kind of hooky” with his kids on Monday. He took his kids skiing (ok, they had classes while he worked in the lodge). Mic is one happy man! Jeri pulled Steve Jensen’s number and Steve then pulled the black marble! 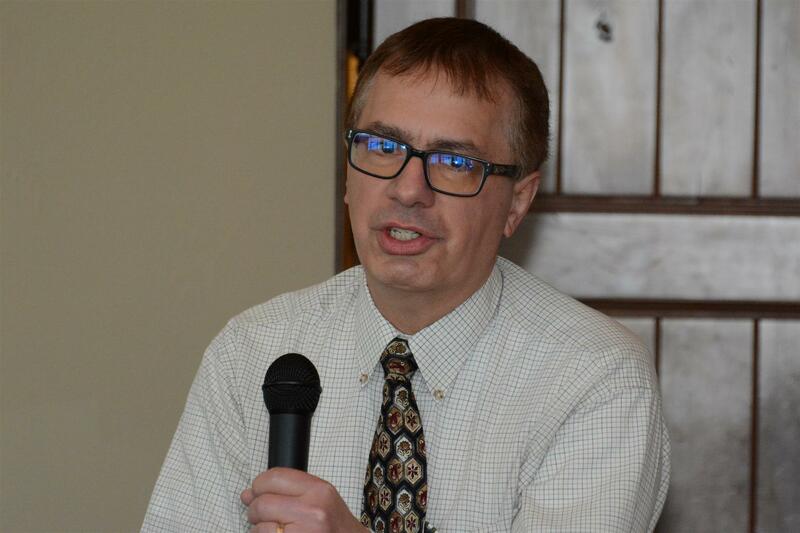 While the “pot” is split between charitable projects of the club and the Rotary Foundation, Steve said that he intends to donate his portion to the Rotary Foundation. That sure makes Tom Hughes happy! Congrats, Steve. Today’s program was presented by Sarah Krivel founder of “Simpler Surroundings.” She will tell us how decreasing clutter and greater organization can speed us towards our goals. Sarah is a productivity consultant, systems design, change management, and trainer. When not working, she enjoys dirt biking, travel, and snowshoeing in the mountains. There are two distractions: Clutter and squirrels. 1. Clutter is mental distraction, with lots of thoughts flying through your mind. Important to remember: You can only remember 4 unrelated things at any one time. Each time you try to add one more thing to your mind, one of the four items already there drops off. So, how do you manage this? We all procrastinate to simply do nothing or to have a little fun. Especially when we feel overwhelmed, we will procrastinate to help sort out what needs to be done in our priorities (above). This is a Master Project list! With a Master Project List, you can review the big picture easily and maintain a running list of everything that needs to be done. Schedules “distraction-free” time blocks each day. This process helps you manage your day, your priorities, and your blood pressure! Push vs. pull information. A push is a distraction that comes at you whether you choose to receive it or not. A pull is attracting and receiving what we like. A good example of this is the “dings,” or notifications that you receive from Facebook or other software. Multitasking is more often used because we are making 35,000 decisions/day. We actually don’t multi-task. Rather we are “switch-tasking” and we lose momentum each time we switch our attention to a new activity. It takes about 23 seconds to get back into the rhythm of tasking. To help manage all these squirrels, you can make some Meta Decisions. These are umbrella type decisions that impact all the smaller decisions thereafter. For example, you can make a meta decision to have no phones at the dinner table; to only check you email at 9 am and 2 pm, and make sure that you have carved out some private/personal time that is sacrosanct. Sarah announced that she will hold a workshop on February 17 about how to manage your energy, priorities instead of time. Workshop: Feb. 17 – Manage energy, priorities – not time. When you manage your choices, it will affect how we use our time. It will be at Connects Workspace Golden. President Kevin thanked Sarah for her presentation and presented her with a certificate of appreciation, showing that funds are being donated in her name to support a student going to Outdoor Lab from Pleasant View Elementary. Pat Madison thanked our visitors and reviewed the club announcements. 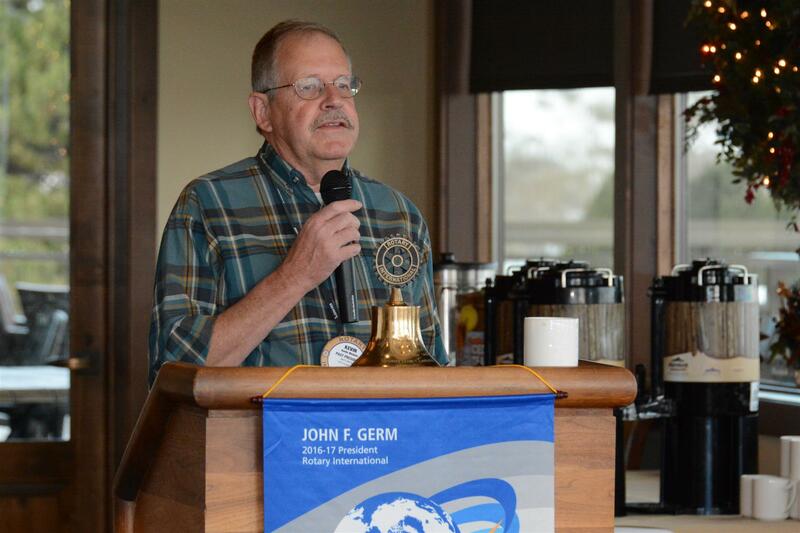 Pat then shared with members that next week will be dark for Golden Rotary because the Club at Rolling Hills is closed. 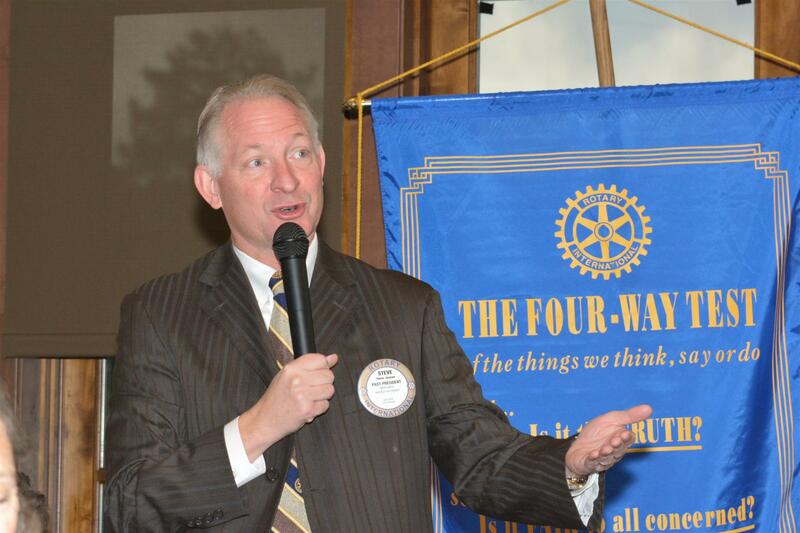 In two weeks (February 7), we will hear from Mike Foss, with “The Warrior Bonfire Project. This will be about supporting Purple Heart Veterans. After all, pain shared is pain divided. Joy shared is joy multiplied.